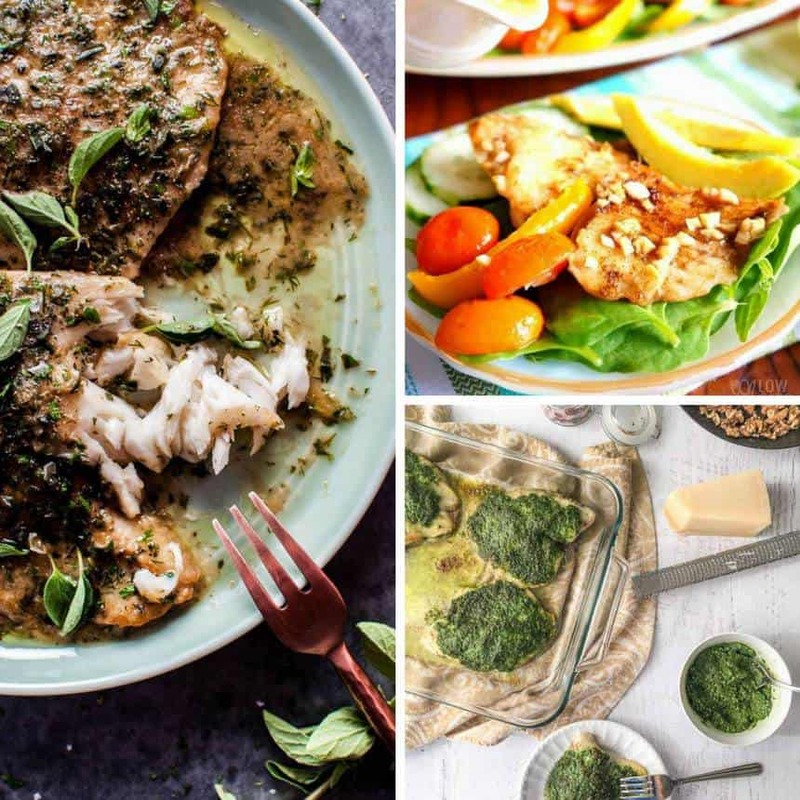 These delicious tilapia fish recipes are super easy to make and healthy too! Add these to your meal plans for days when you’re super busy and don’t have time to cook anything complicated! 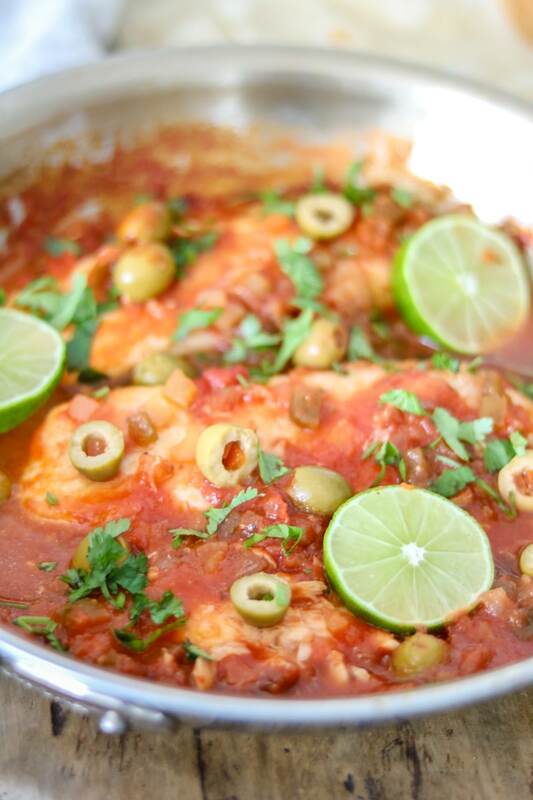 This clean eating Tilapia recipe is deliciously spicy and works well with salmon, tuna or even fresh water catfish too! 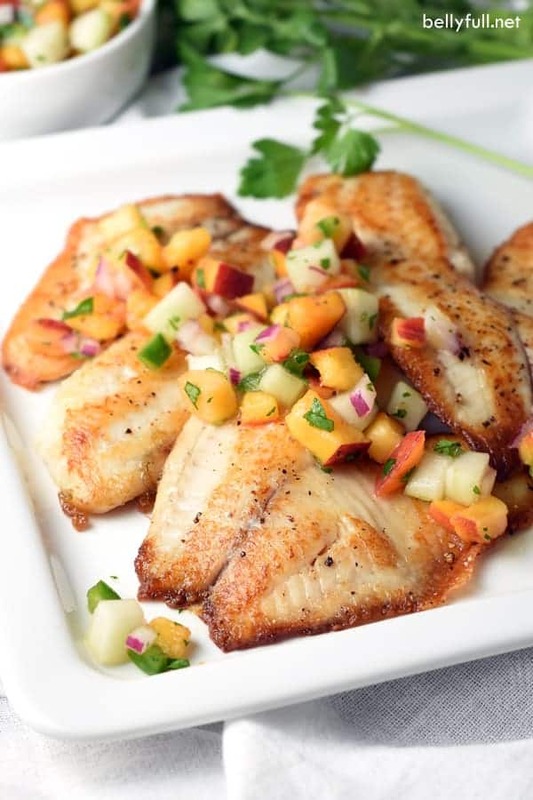 These tilapia fillets are pan seared and then topped with a deliciously simple peach and cucumber salad. Gotta love dinner that’s on the table in less than 30 minutes! We have a whole collection of 30 minute dinners if you need quick and easy weeknight meals! 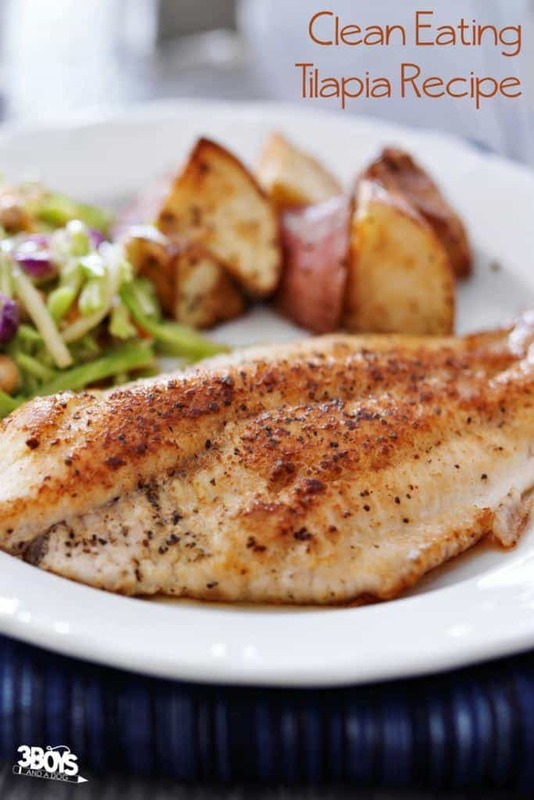 Here’s another tilapia meal you can prepare and cook in under 30 minutes. The tropical flavours will whisk you away to a tropical isle, and as an added bonus it’s only 259 calories per serving! Having guests over for dinner but need something super quick and easy to cook? 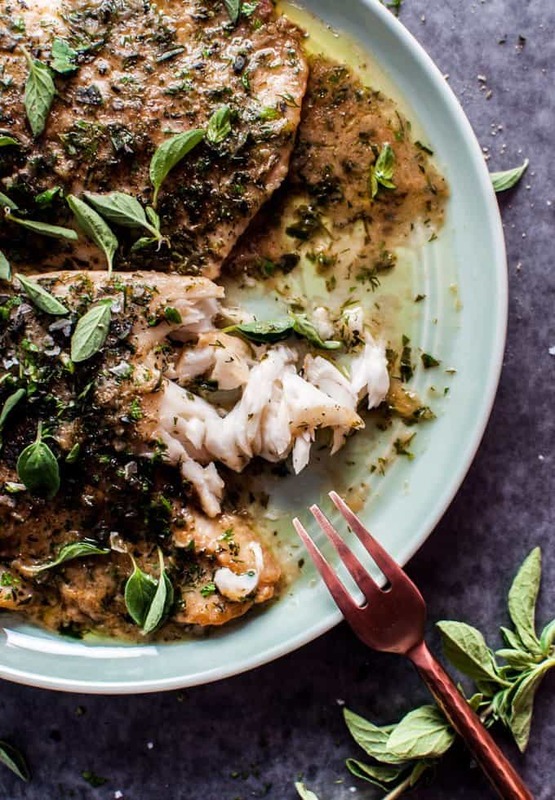 Try this Tilapia with a Lemon Herb Butter Pan Sauce, it looks and tastes like you spent hours slaving away in the kitchen but in reality it’s ready in less than 20 minutes! 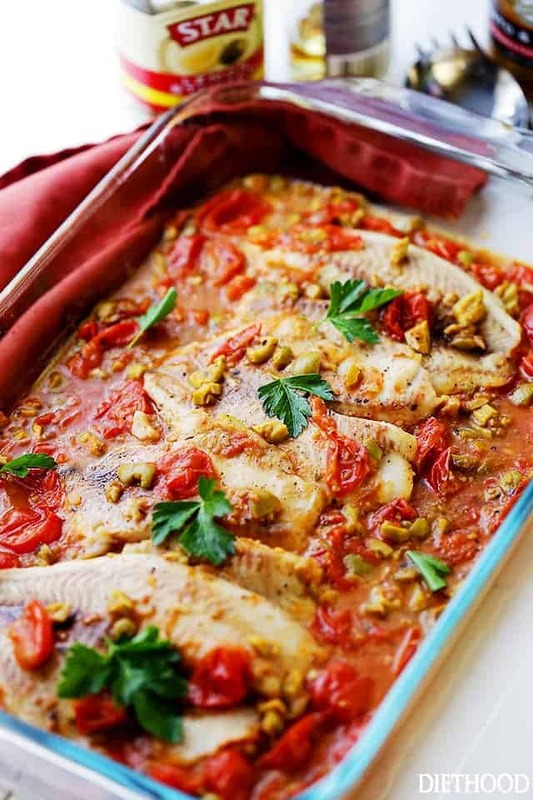 Oh my goodness there is so much deliciousness going on in this baking dish and it’s entirely up to you whether you serve it over a bed of rice, or straight up with a chunk of fresh bread to soak up the sauce! 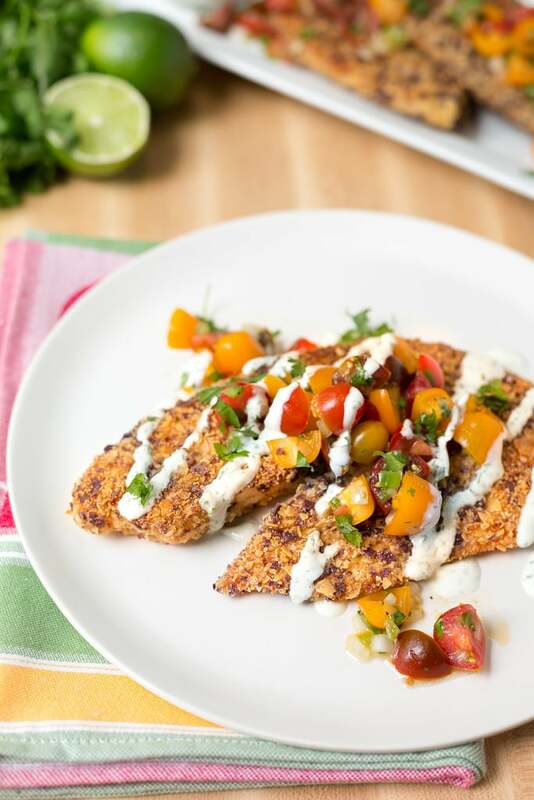 This Tortilla Crusted Tilapia is a fabulous option for your summer meal plans, especially if your family get through bags of chips and you never know what to do with all those crumbs at the bottom! Do you know what we love more than 30 minute meals? Delicious, healthy options that you can get on the table in under 10 minutes. Seriously it takes longer than that to order takeout! 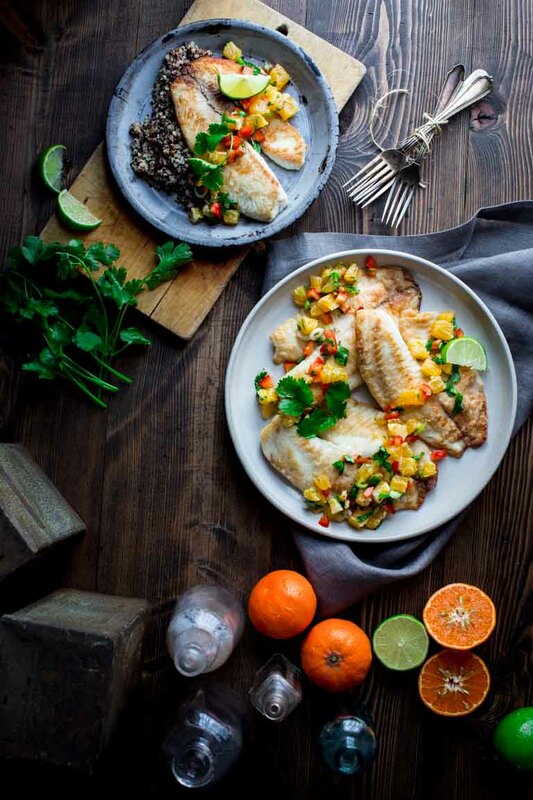 If you’re a skillet fan and searching for a simple dish to serve up for a fish supper you really can’t go wrong with this one. It’s packed full of flavour, gluten and dairy free and Whole 30 compliant too! How about a keto friendly recipe that’s perfect for a warm summer’s evening? 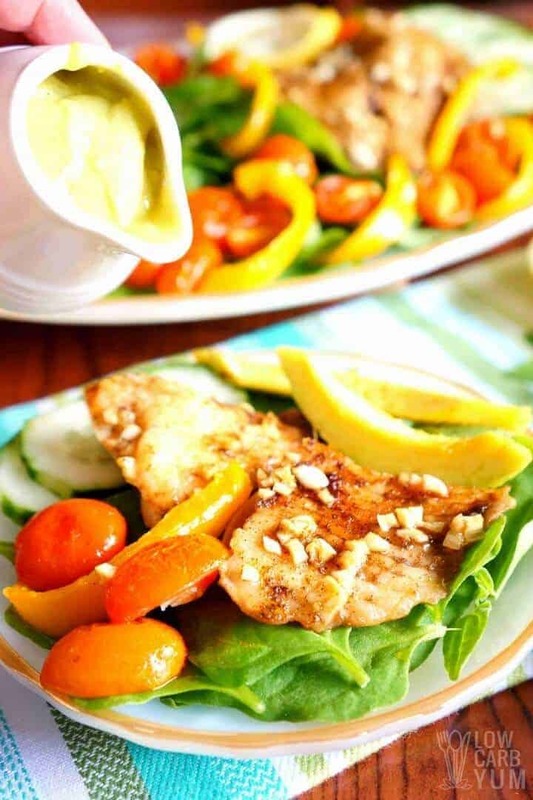 This Tilapia Salad is low carb and has a creamy avocado dressing for extra flavour. 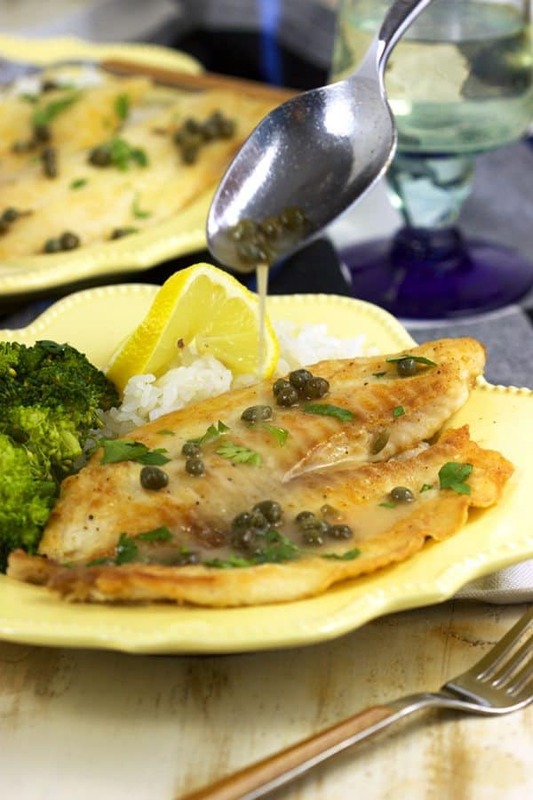 If you love pesto then you need to check out this tilapia dinner recipe. 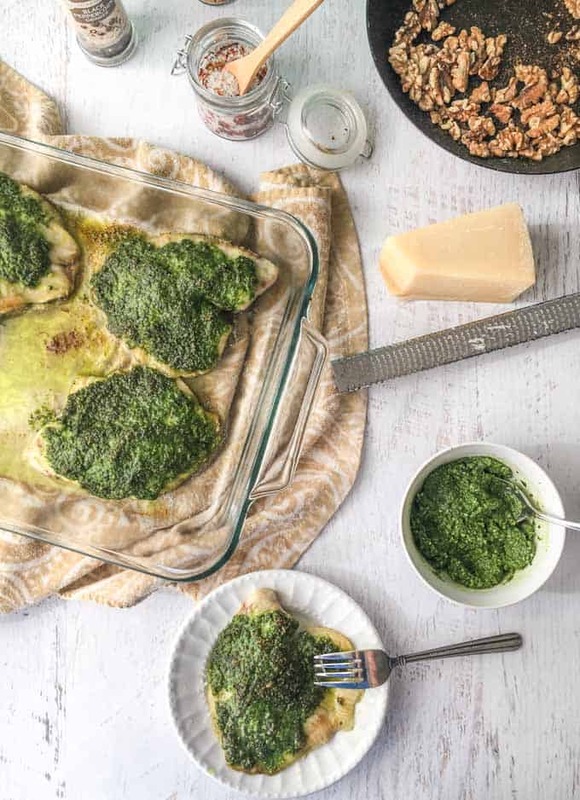 The pesto is made from fresh spinach and toasty walnuts to add some colour and a lovely flavour to the mild white fish. The pesto is super easy to make if you put your food processor to work! Next PostNext Morning Pages: How to Kickstart Your Creative Spirit in 30 Minutes a Day!